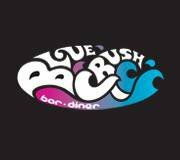 Blue Crush Bar is situated beneath The Sands complex on Scarborough's beautiful North Bay. Dogs are welcome in the Cafe Bar. The Horseshoe Inn is in the beautiful village of Levisham in Ryedale. Just starting this section to promote and thank those businesses that welcome our dogs.